Be careful while making these because they can easily begin to vanish if you taste test too much! This onion dish can easily be an appetizer or used as a condiment like in green bean casserole. In a medium bowl, soak the onion rings in 1 cup of milk. Mix the flour, salt and pepper in a separate bowl. Transfer onion rings, a few at a time, into the flour coating each onion ring in flour. Set aside. Heat a frying pan with a 1/2-inch of canola oil over medium-high heat. 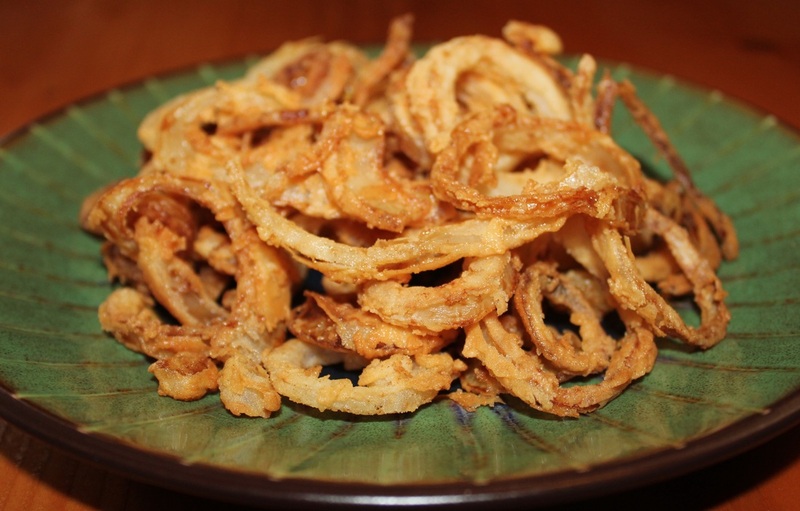 When oil is hot, fry coated onion rings in batches about 2-3 minutes or until golden brown in color.